Long time ago, there was a king of Sindh, who like any other king, was fond of royal luxuries and used to sleep on a new bedspread everyday. One day, when his servant was about to change the bed sheet, the king stopped him, saying “Aaj Rakh” (keep it today); he had liked it so much. 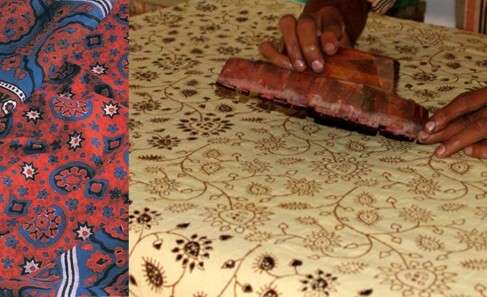 It was a beautiful block printed bed sheet that slowly came to be referred to as the one that the king called “Aaj Rakh” and eventually, Ajrak, the magnificent fabric of Sindh and Kutch. The origin of Ajrakh can probably be older than we can imagine. Excavation sites of Indus Valley Civilization give evidence that Ajrakh was possibly one of the oldest printing methods the Indian subcontinent. The etymology of “Ajrakh” can be traced to the Sanskrit word “a-jharat”, which means that which does not fade. 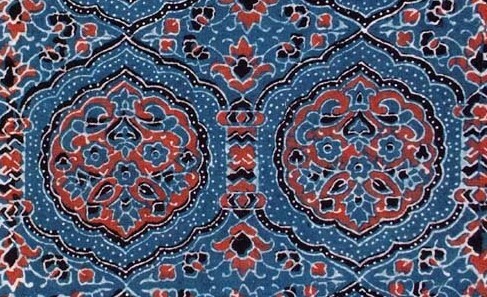 Since indigo is one of the main colours of this textile, it is possible that Ajrak got its name from “Azrak”, which means “blue” in Arabic. Ajrakh is believed to have the universe, or sky as its theme. Blue symbolizes the sky, red symbolizes twilight and the night is indicated by black. The white geometric motifs interspersed on the fabric are like stars on a dark night. 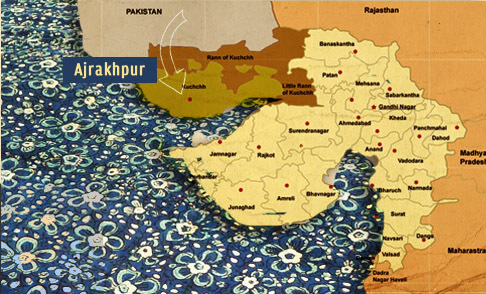 In the 16th Century, the Raja Bhaarmalji - I brought the Ajrak craftsmen from Sindh to Gujarat. He chose the village Dhamadka in Kutch for Ajrak printing because of its proximity to the river Saran which had saline water, good for dyeing of Ajrakh cloth. The river bed was also a good source of natural alum, a crucial ingredient in the dyeing of cloth. 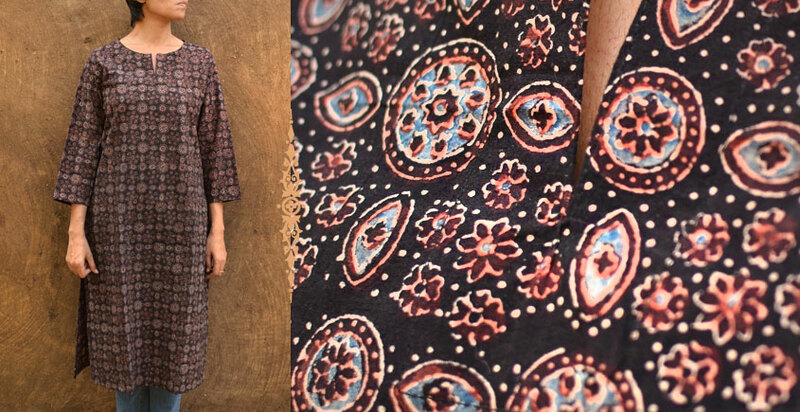 Bright chemical colours and synthetic fabrics swamped the market in the 1940’s, pushing Ajrak printing into a state of dormancy for almost fifteen years before it was revived in the ‘60s by the diligent efforts of a few craftsmen and patrons. 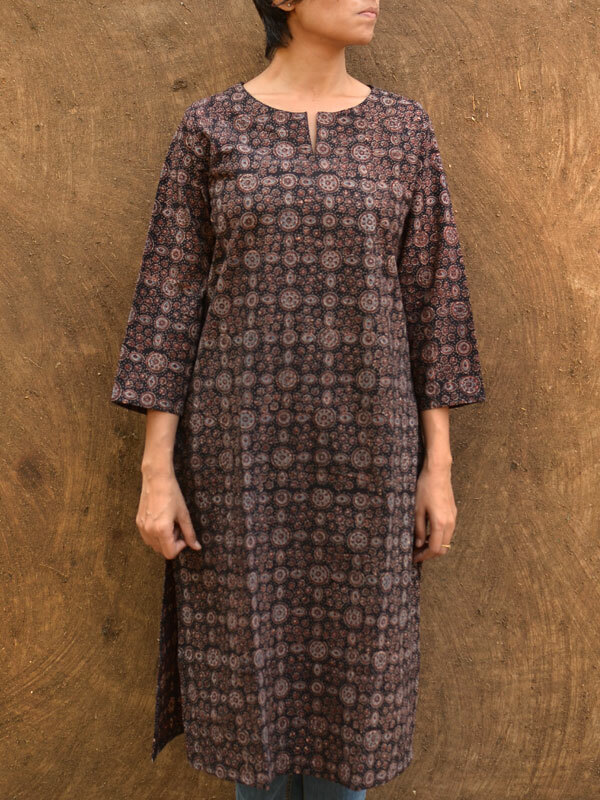 It is not just the long, painstaking process of printing, carefully matching the motif on both sides of the fabric and dyeing in different colourants one by one, but also the fact that all the ingredients used are natural and environment friendly, that makes Ajrakh and dyeing the fabric that makes it such a treasure. 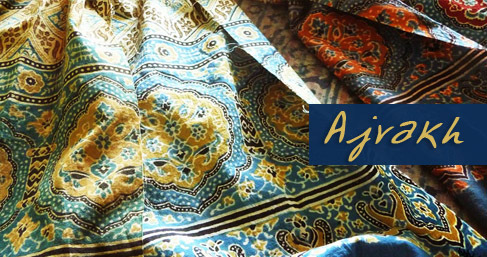 Words do not do justice to the process of Ajrakh printing, where one can see the colours magically appearing in their printed patterns after completion of dyeing. It is a perfected process, unchanged over centuries. The fabric is first treated with Harada, which helps in fixing the colour. Then it is printed with lime or gum, where the colour is not required and black for outlines. After printing, the fabric is dyed in indigo, then washed to remove the resist material and dyed in the mordant. Depending on the mordant, the print areas will get their colour, for example, alizarine gives red, henna gives green and rubab gives brown. Printing in remaining areas and dyeing is repeated till all the colours in their full strength are achieved. 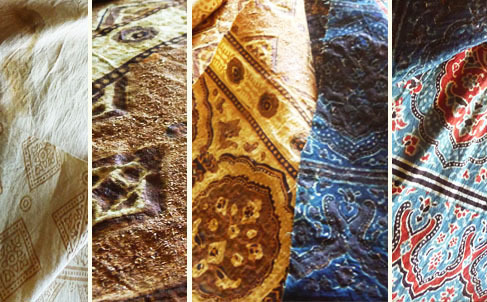 The quality of water plays a vital role in the process of Ajrakh printing, from beginning to end. On 26th January 2001, when Bhuj was hit by a massive earthquake, it not just caused immense damage to lives and property, but also caused changes in the environment. 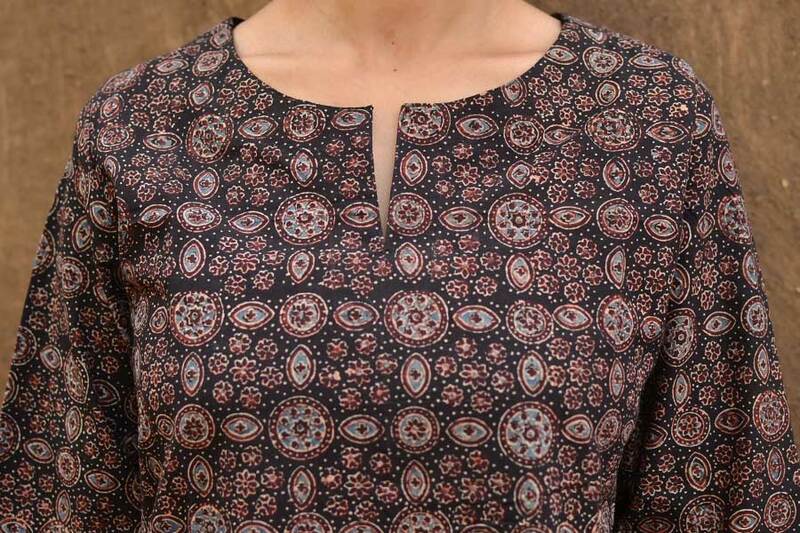 The iron content of Saran River’s water increased, making it unsuitable for Ajrak printing. 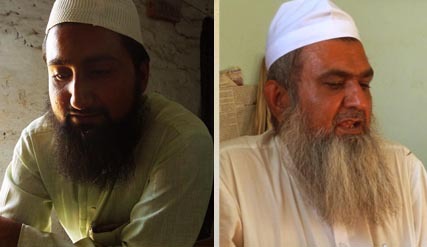 Half the craftsmen of Dhamadka decided to move to a new village and named it Ajrakhpur. Every year, on 26th January, they clear the village accounts and select a new person for keeping the accounts for the next year. The village is an example of rebuilding lives from scratch. A rainwater harvesting plant has been built in the village, indicating that sustainability was an important consideration in planning the village. The craftsmen have developed many new motifs and colours for the fickle tastes of the modern customer. But the original Ajrakh motifs are still in abundance and the process has been kept intact. Survival of Ajrakh after invasion of quicker and cheaper methods of chemical dyeing only goes on to say that no matter how many new and transient fashions may come, certain traditions have thrived for centuries and will continue doing so. We have numerous examples indicating how ancient craft practices are truly sustainable ways of production. Going back to our native crafts not just brings us closer to our roots, but also takes us towards a more environment friendly lifestyle. Note The items in this category are not refundable but you may exchange this product with any other product from this category. The products in this category is handmade. These might slightly differ from as seen on digital screen. Note ~ As the fabric is naturally dyed, though artisans pre-process and wash fabrics before the production, still care should be taken during first 3 washes, as some of the natural dye material may wash off during initial washes. The natural dyed fabrics should be hand-washed or mild machine washed separately in cold water with mild detergents. These fabrics should not be bleached or scrubbed and should be reverse dried in shade. The fabrics should be ironed on reverse to preserve its charm. ~ These are free size garments. 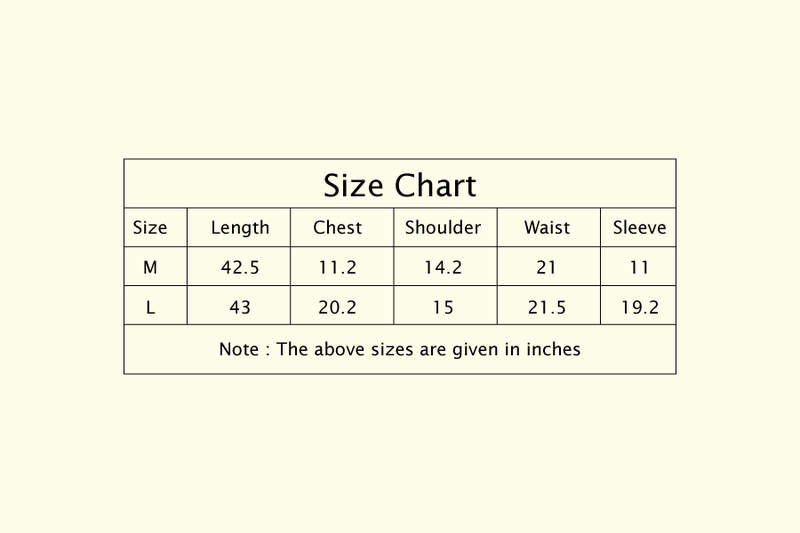 The sleeves ahve been kept extra long to be cut/folded to resize as per your taste. Long time ago, there was a king of Sindh, who like any other king, was fond of royal luxurie..